What Is Ultra-Wide Band Wireless Technology? Ultra-Wide Band (UWB) is a communication method used in wireless networking that uses low power consumption to achieve high bandwidth connections. In other words, it's meant to transmit a lot of data over a short distance without using too much power. Originally designed for commercial radar systems, UWB technology has had applications in consumer electronics and wireless personal area networks (PAN). After some initial successes in the mid-2000s, interest in UWB declined considerably in favor of Wi-Fi and 60 GHz wireless network protocols. Ultra-Wide Band used to be called pulse radio or digital pulse wireless, but is now known as ultra-wideband and ultraband, or abbreviated as UWB. Ultra-wideband wireless radios send short signal pulses over a broad spectrum. This means the data is transmitted over a number of frequency channels at once, anything over 500 MHz. For example, a UWB signal centered at 5 GHz typically extends across 4 GHz and 6 GHz. The wide signal allows UWB to commonly support high wireless data rates of 480 Mbps up to 1.6 Gbps, at distances up to a few meters. At longer distances, UWB data rates drop considerably. When compared to the spread spectrum, ultraband's broad spectrum use means that it doesn't interfere with other transmissions in the same frequency band, like narrowband and carrier wave transmissions. Wireless USB was to replace traditional USB cables and PC interfaces with a wireless connection based on UWB. The competing UWB-based CableFree USB and Certified Wireless USB (WUSB) standards operated at speeds between 110 Mbps and 480 Mbps depending on distance. One way to share wireless high-definition video across a home network was via UWB connections. In the mid-2000s, UWB's higher bandwidth links could handle much larger volumes of content than the versions of Wi-Fi available at the time, but Wi-Fi eventually caught up. Several other industry standards for wireless video streaming also competed with UWB including Wireless HD (WiHD) and Wireless High Definition Interface (WHDI). Because its radios require low power to operate, UWB technology could theoretically have worked well in Bluetooth devices. The industry attempted for several years to incorporate UWB technology into Bluetooth 3.0 but abandoned that effort in 2009. The limited range of UWB signals precludes it being used for direct connections to hotspots. However, some older models of cell phones were enabled with UWB to support peer-to-peer applications. Wi-Fi technology eventually offered sufficient power and performance to supplant UWB in phones and tablets, too. 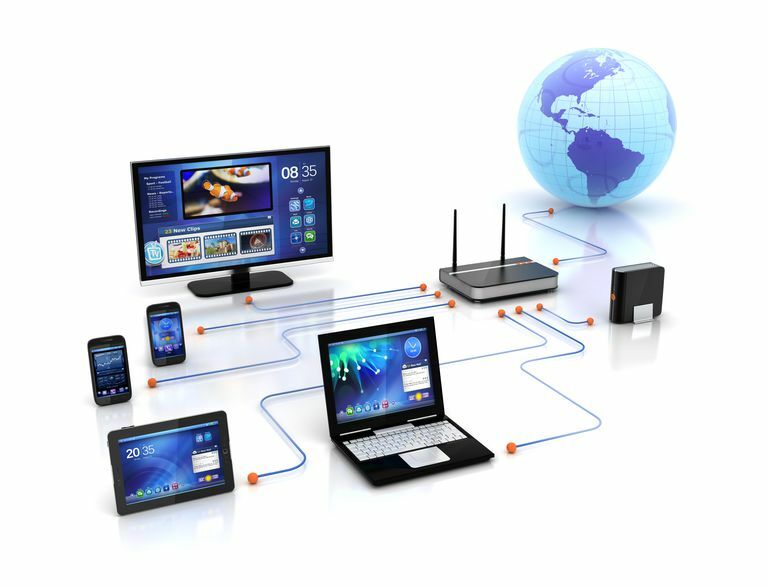 What is Wireless USB Technology? What is Kleer Wireless Technology and Where Is it Now?